Home Domestic Football Transfer Rumors: Is Cristiano Ronaldo Leaving Real Madrid? Since Real Madrid won the Champion League’s final, only one man has had the spotlight on him. And, it is none other than Cristiano Ronaldo who had hinted his exit from the Spanish club right after Madrid won 3 consecutive Champion League titles. Whether he will leave the club or not, that is quite uncertain but the issues revolving in the football superstar’s mind are pretty clear. And, in this article we will discuss as to why Ronaldo can leave his beloved club and which club he is more likely to start off his career next? This news has been circulating in the media for a long time now. Supposedly, Ronaldo is not happy with his current pay structure and is demanding a pay hike. Currently, Ronaldo is the 5th highest paid player in the world. And, according to the Portuguese it’s quite unfair as his performances have been top-notch for Madrid in the past years. Moreover, it was rumored that Real’s owner, Florentino Perez had given in to Cristiano’s demands of upgrading his pay to equalize Messi. But, it seems that is not the case right now. Zidane’s exit could also spark a transfer of Cristiano Ronaldo to other clubs. 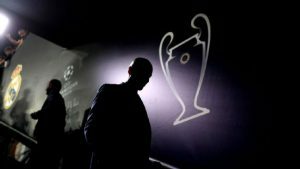 The Portuguese had a good repertoire with the former manager and Ronaldo might not want to stay after Zidane suddenly announced to leave the reins of his beloved club; Real Madrid. Cristiano Ronaldo’s football career is in it’s last phase and the Portuguese star has spent most of his time in Real Madrid. Maybe Ronaldo is thinking that it’s time to move on and end his Real Madrid’s career on a high note. Reportedly, a confirmed offer has already been made by the Red Devils to rake in their former striker back to their club. And, according to reports Ronaldo is also interested to end his career in Manchester United, a club which made him the player he is now. Football are also excited and in full support of this transfer and according to allsportspk expert panel if Ronaldo decides to leave Madrid then his next destination would be Manchester United. The rumors of Ronaldo joining PSG started when his mother said that she wouldn’t mind if Cristiano joined PSG. 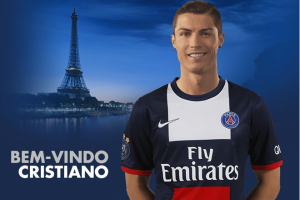 Chances of it happening are bleak, but a PSG fan can only hope that Ronaldo is signed by PSG for the upcoming season. The reactions on whether Ronaldo will leave Real Madrid are very indifferent from each other. 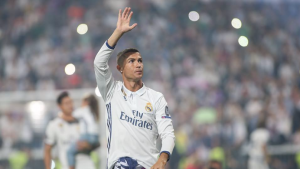 Some people feel that it’s time to move on whether others are of the view that the Portugues star should end his career with Real Madrid. You think if Wenger goes to Real Madrid, he might do me a favour and sign Iwobi, Welbeck and Mustafi and sell me Ronaldo, Isco and Marcelo?